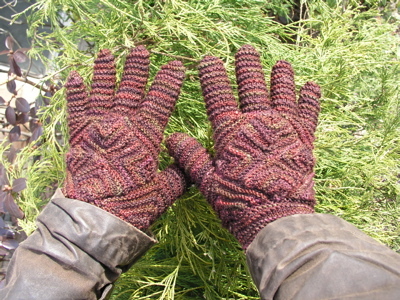 bubbleknits: Sonata Gloves done and worn! Sonata Gloves done and worn! Very nice -- love the combo of color and texture. Your gloves turned out lovely! I'm the designer of the pattern and am setting up a new website and would like to include your photo in the customer gallery. Please let me know if this would be alright with you. Thanks!